Please check out our tour schedule. We are very excited about where we are going and the shows we are doing this year…and that Libby is going to make most if the trips with us. And…3 times going to the UP ( Upper Peninsula of Michigan)..April, July and August….that is pretty much heaven! Hoping we get to see you soon. Stay warm , stay well….and best wishes…. 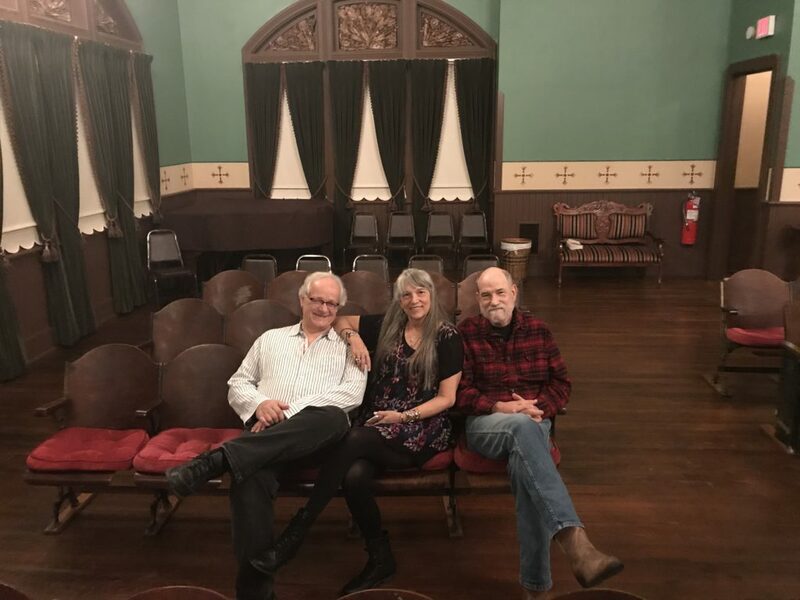 This photo was taken by Jim Holmes at the amazing Pemberville Opera House in Pemberville OH last Fall…great little town….a stunning restored opera house with tremendous acoustics..Beeker’s General Store is a must…it has been in operation since the late 1800s…really a blast from the past worth seeing! !